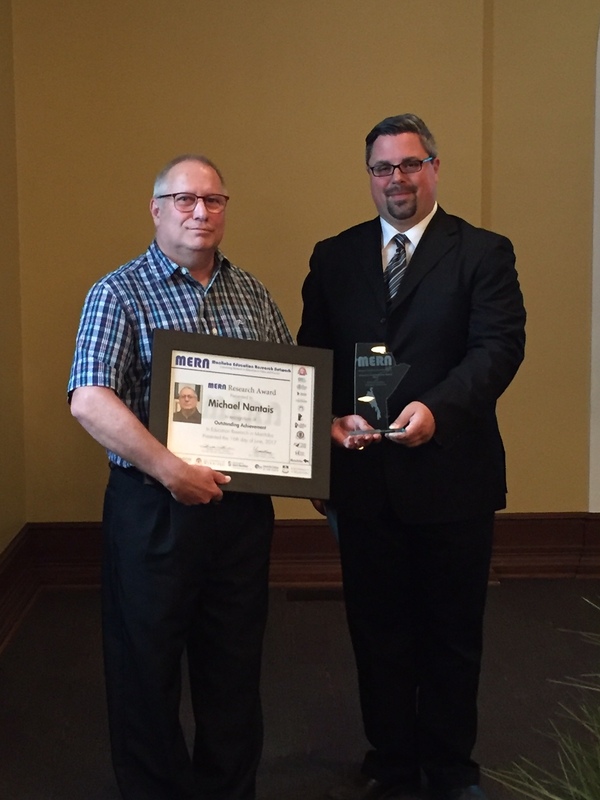 Receiving the Manitoba Education Research Network (MERN) award for “Outstanding Achievement in Education Research in Manitoba” award at the Manitoba Legislature Building. June, 2017. My research interests mainly lie in the broad area of educational technology, in particular the effective use of technology for learning, and its relationship to transformative learning. Specific areas of interest are in social learning, especially as it applies to online learning communities and social networking, action research and science/mathematics education. Some current and recently completed research and writing projects are summarized below. This project is a collaborative effort with Brandon teachers M. Di Muro and E. Galatsanou Tellidis. Students in Mr. Di Muro’s computer science classes teach area grade 7 and 8 students how to code using scratch. This study will look at attitudes and dispositions of students in regards to computer science and coding – both those teaching, and those learning and their teachers. Timeline: January 2018 – Summer 2019. I am a co-investigator along with Dr. J. Kirk. This proposed research has the goal of investigating the case of a rural high school’s implementation of a 1:1 computing initiative. It seeks to document the process, implementation, successes, challenges, and failures encountered. This project is supported by a $3 000 Faculty of Education Research grant. Timeline: September 2015 – June 2016. This project is in progress within a local rural school division. This project has included a 5 month pilot and will be expanded during my sabbatical in 2015/16. It is funded by a $4 000 BURC grant. The research question is: What type of change, if any, does conducting participatory action research lead to in a teacher’s pedagogical practice and/or perspectives about teaching and learning? What is the nature of this change? Advisor: Dr. O. Cap, University of Manitoba. Defended: June 2014. Part of BU CARES VOICE (Vital Outcome Indicators for Community Engagement) Project. 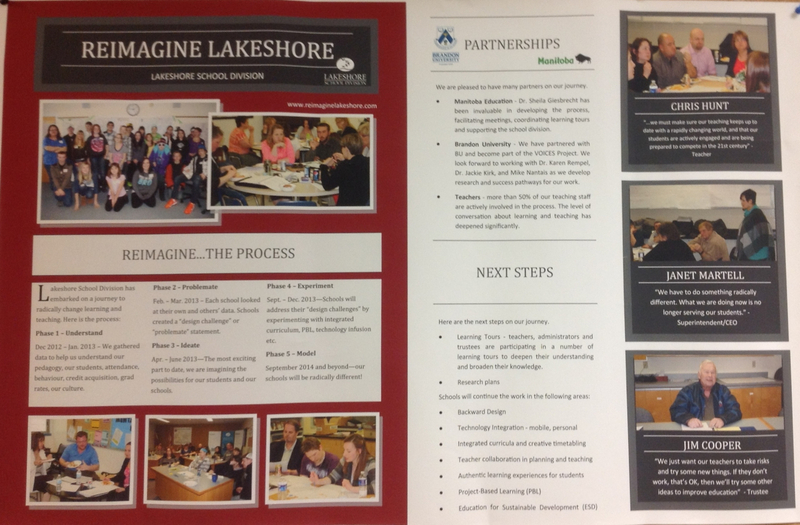 I am working, along with Dr. J. Kirk, with the Lakeshore School Division Community Circle on their “Re-imagine Lakeshore” Project.